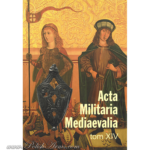 This review is very interesting not only because it praise this small, rare book for the knowledge it pass to the readers, but also because the well known author of the review: Mrs Ada B. Hoffmeyer gives a lot of interesting information on Polish arms and weapons through the ages. So it is not only an incentive to read the book but also the great reading in itself. “This little book by the well-known Polish scientist prof. dr. A. Nadolski from the university of Lodz is a highly wanted work. 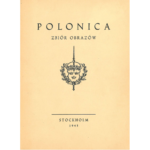 The first edition of it was issued in Polish but shortly after the English edition saw the light. Arms students will hail it with pleasure. 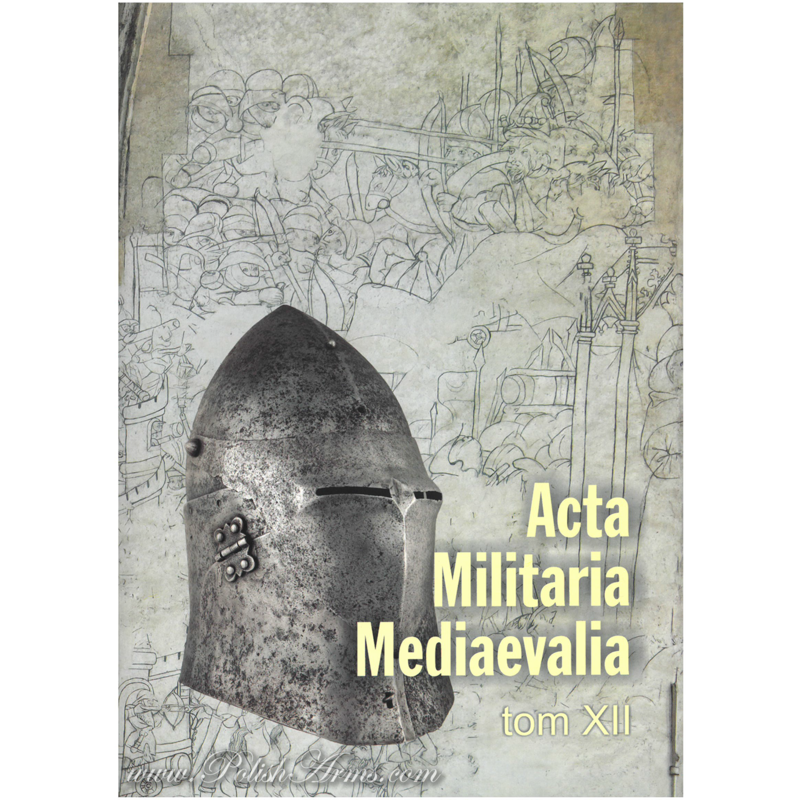 The author has many years of experience behind him in regard to investigations of arms and armour archaeology. During 20 years he was professor at the Lodz university and later on he became the director of the Research Centre of the Institute of the History of Material Culture of the Polish Academy of Sciences as well as member of numerous foreign research centres and learned societies. 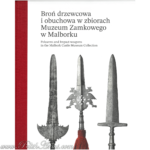 Already in 1954 his book about Polish Arms and Armour in the 10th-12th cent, was issued. 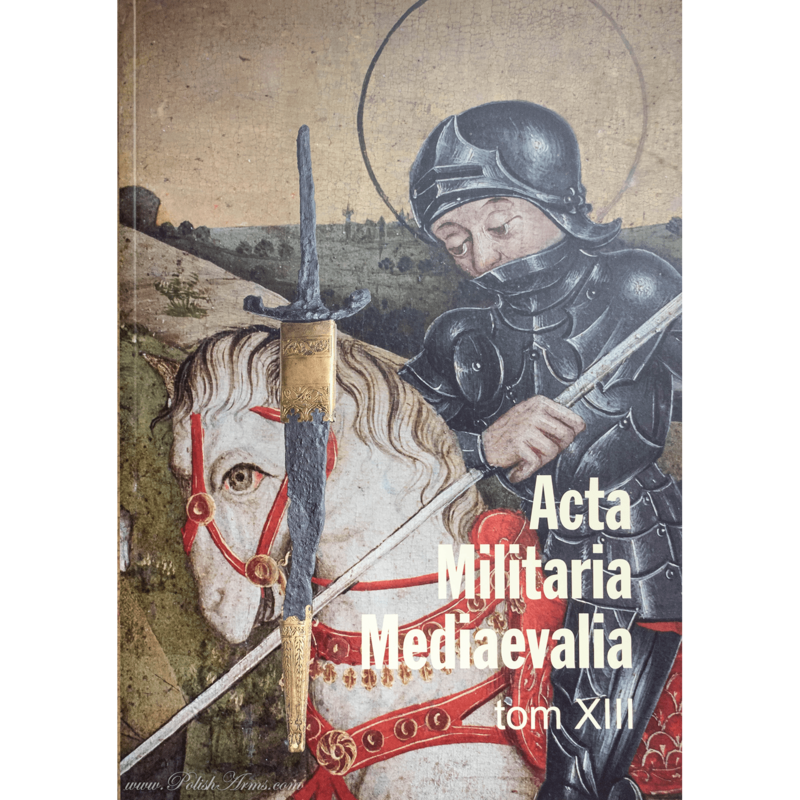 In the years that followed many works dealing with the important field of medieval arms in this corner of Europe were published. To the mutual influences between East and West these regions of Europe are important and to some extent analogous to the Iberian peninsula. From the Islamic world, the world of the Arabs and the Persians one branch of culture followed the Mediterranean countries both on the Northern and the Southern coasts and joined on the Iberian peninsula. From Persia and Turkey other branches of culture and influence past through the Eastern part of Europe receiving influence from the peoples of the steppes of Asia and Ukraine. One important source is common to both East Europe and the Iberian peninsula: Persia. But the Persian and Turkish influence no doubt is more pronounced in such countries as Poland and Hungary. The interest for arms and armour archaeology in this part of Europe must be received with pleasure. The archaeology in regard to medieval weapons has revealed several excellent specimens, and the «digging up the past» from the soil frequently has given a good harvest. The particular history of Poland during centuries was a bloody history of partitions, invasions by foreign peoples and armies, insurrections and destructive wars. In spite of its particular history with much foreign influence it is remarkable to note the originality of various Polish arms kept througt centuries. The present investigation comprises only side-arms, historical and precious arms, as well as plain and simple arms, the history of which is unknown. It thus comprises swords and sabres, cutlasses, falchions, daggers and similar kinds of side-arms used for hand-to-hand fightings. It is not always easy or possible to classify a weapon as being Polish or French, Austrian, German etc. on account of its shape, type, fabrication or the like, because blades, for instance, were made in great centres in West Europe and exported to the Eastern regions even as far away as to the peoples of the Volga regions, where they were furnished with hilt and other kinds of accessories according to the style and taste dominating in these places. Eastern blades were exported to the Occident, where they were equipped with accessories in Western taste. Thus it is not always easy to get an adequate criterion for what is true Polish or not. 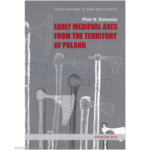 The investigation by dr. Nadolski comprises the whole history of Poland from the formation of the super-tribal state of the first Piasts in the second half of the 10th cent, until the recent years when side-arms with a few exceptions ceased to be part of the soldier’s equipment. A great part of the early sword-blades found, for instance, in the regions of Kiev came from the Rhineland manufactures and were mostly imported via the Baltic routes. Before the middle of the 10th cent, the continental route from Regensburg passed to Poland. But even this was rather limited, and characteristic enough —there is an almost complete lack of Ulfberht blades in Poland. From the period between about 950-12th cent, almost 90 swords have been excavated, but these early swords are similar to the early swords of many other regions of Europe. It looks as if there in various places of Poland in the early Middle Ages were several villages the inhabitants of which had dedicated themselves to sword-smithing. From these early periods no sabres have been found with the exception of one specimen which apparently is of Hungarian origin. The sabre came from the steppe nomades (Khazars, Pechnegs, Polovtians). With the Hungarians in the early period in Europe the steppe sabre came to this region of the Danubian. But it did not yet affect Poland. Knives belonged to everyman but did not play any role as a military weapon. For his classification of the medieval Polish swords dr. Nadolski has used the system set up by mr. R. E. Oakeshott both in regard to blade and to hilt. The whole development is mentioned in short. About the middle of the 15th cent, the weapons of Central-East Europe, particularly those of Poland and Hungary began to be affected by the Oriental influences, and the sword from now was to a great extent replaced by the sabre. Among the 70 swords found or excavated in the soil from the period of the 12th-15th cent, only very few can be connected with historical persons or events. 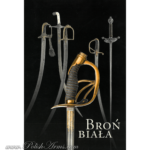 Among the most interesting specimens from this period is the so-called «Jagged» Sword, the preciously ornamented sword used as coronation sword for the Polish kings. This coronation sword was first used at the coronation of king Ladislas the Short in 1320. It is one of the very few Polish regalia, left by the Prussians at their pillage in 1795. A map of finding places of swords from 13th-15th cent, indicates a considerable power of local workshops as well as the well organized import of weapons to Poland in 14th-15th cent. In regard to the sabres the Polish iconographical sources from the close of the 15th and early 16th cent, are of particular importance, representing sabres with undoubtedly Oriental character. Further these weapons are seen in Polish battle scenes in art representations. The Polish had many opportunities to get acquainted with the Turkish already in the 14th and 15th cent. Oriental arms and Oriental tactics during 15th cent was chiefly favoured in Poland on account of the various historical circumstances. In order to secure the frontiers towards the East it became necessary to create a light cavalry of Eastern type. Detachments of the so-called «Rac», modelled on the Hungarian «Rac» detachments came up. This was the beginning of the Polish hussars, who already in the 16th cent, were transformed into a heavy cavalry though lighter and more mobil than the West European lancers and cuirassiers. Already in the 16th cent, the humanist-chroniclers gave rise to the so-called «Sarmatism», which came to play an important part in the old Polish culture with its predilection for Oriental dress, ornaments and arms. The Eastern influence was not uniform to all parts of the country and to all periods. Strong was it during the reign of king Stephan Bathory (1576-1586). This king introduced in the Polish armies various arms of Hungarian character. During the Swedish Vasa dynasty (1587-1668), however, the Occidental influence again became stronger. This was due to the Spanish, German and Swedish fashions then dominant at the European courts. The most important waves of Oriental influence, however, came in the last quarter of the 17th cent, in connection with the finally victorious wars with the Turks. It was John Sobieski as the Great Hetman, later on as king John III, who became the hero of the Turkish wars. In his time the Armenian merchants and artisans, who settled as fugitives in Poland came to play a role. Beside the Turkish influence came now the influence from Tatars of the Asiatic steppes and the Persians, linked to Poland with strong mercantile ties. Western influence and with it the straight double-edged swords still played an important part. Precious specimens are such swords as the Renaissance sword of king Sigismund I (1506-1548) probably made in Cracow. The fine sword made in 1540 and ritually broken in 1572 during the burial of king Sigismund Augustus, the last of the Jagellonian dynasty, belongs to the important pieces too. It comes from a Nuremberg firm. In the 16th cent, characteristic blades of Oriental character came in, but most of them were of Italian and German workmanship, f. inst. Genoa, with hilts more or less of Turkish types. At the end of 15th cent, came the Hungarian sabres to be very popular. In the blades they show marks as f. inst. the «sickle» or the names Genoa or Fringia. Attention must be paid to the sabres with blades showing special types of monograms: one or several letters such as IPZD, IRIGO, MPZI and other compositions. They are all of Polish workmanship from the first half of 17th cent. These workshops, however, are still unidentified. Occasionally occur blades with Cyrillic or even Greek inscriptions. In the 17th cent, the sabres have open hilts and closed hilts. The first group is Polish-Hungarian. Hilts with long langets are of Eastern type, related with certain Persian models, which became popular under the name of Karabela and survived into the 19th cent. The name should mostly be used for the parade models, often precious with gold and silver mountings. Karabela sabres and karabela types were not exclusively Polish. They are known from Hungary, Saxony and other places. Special types were imported from the East —a type linked to the very old Asiatic steppe sabres. Highly interesting are the sabres with closed hilts.